Sad news recently as both Wrestling's much loved son Macho Man Randy Savage and Jeff Conaway from Grease and Babylon 5 both died. 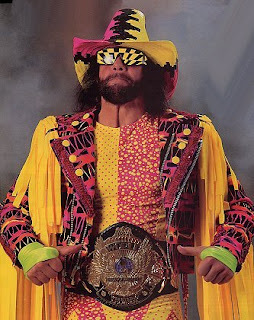 Savage (otherwise known as "Randy Mario Poffo"), who was 58 years old, unfortunately died in a car accident on the 20th of May when he supposedly mounted a central reservation, crossed into oncoming traffic and eventually crashed into a tree. It's thought that he experienced a heart attack which led to losing control and his wife Lynn was also in the car but was unhurt. 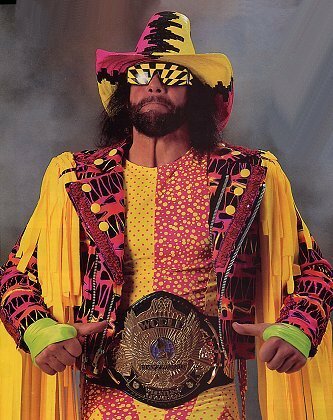 A wrestling legend of my childhood along with the likes of Hulk Hogan and Ultimate Warrior, Randy will be sorely missed. Conaway 60, who battled drug and alcohol addiction for decades, was taken off of life-support last Friday having been found on May the 11th in what was originally thought to be a pain medication overdose induced coma. However it was later said to be pneumonia with sepsis for which he was placed into a coma intentionally by doctors but couldn't then be revived from. His body simply couldn't stand up to his ill health after the amount of drug abuse in his past and docs were at a loss as to what to do for him. 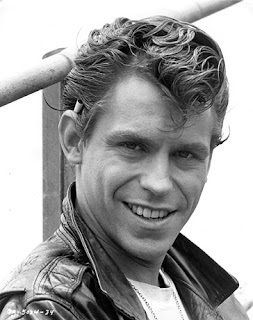 I only really knew of Jeff from Grease and Babylon 5 but he did a ton of other work in movies and TV too.